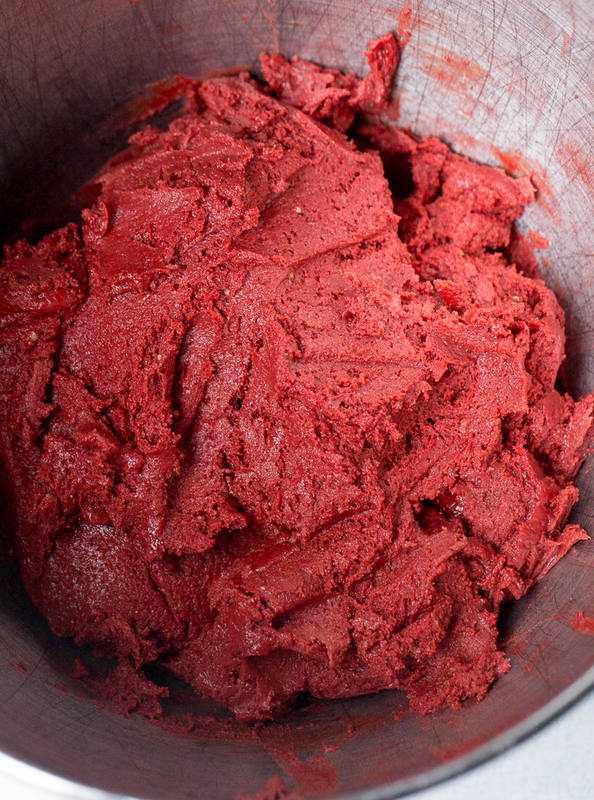 Celebrating Valentine's Day the best way we know how, with Red Velvet! 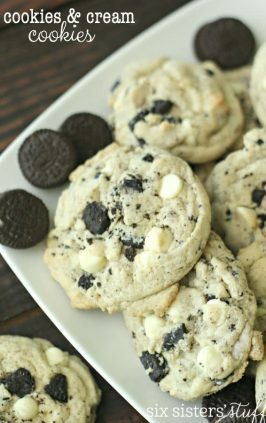 These homemade Oreo cookies use a red velvet cake mix to speed along the baking process and result in super moist, very delicious cookies. Don't even get me started on the homemade cream cheese frosting! 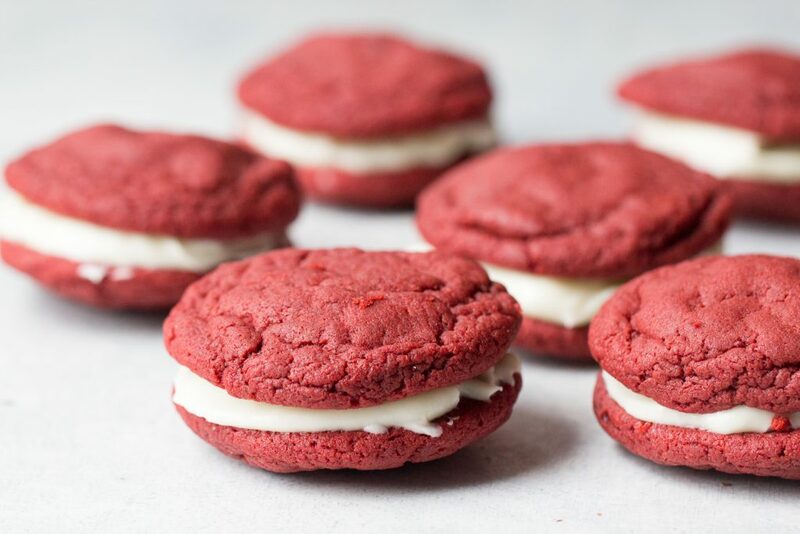 We have always loved our mom’s Homemade Oreos because they use a CAKE MIX shortcut, making them so much easier than any other cookie sandwich. 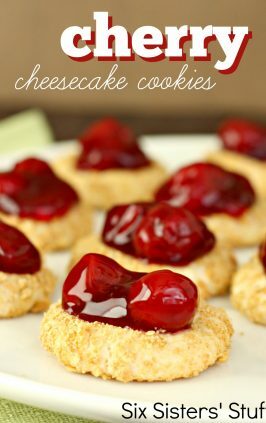 This recipe uses a cake mix as well, with a delicious homemade cream cheese frosting that is sure to win over just about any crush. 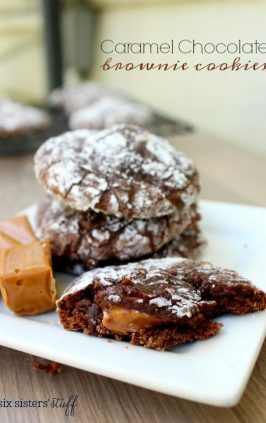 Have you tried cake mix cookies? 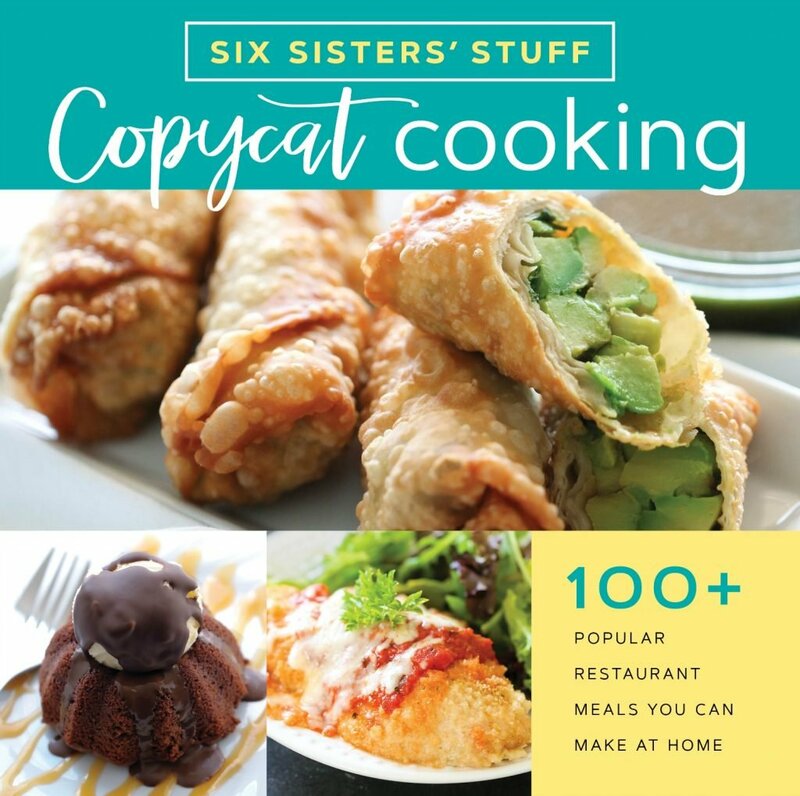 We know you’ll love these! 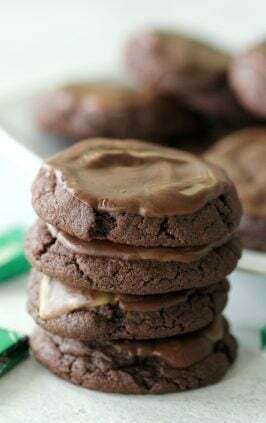 The best thing about making cookies using a cake mix, is the soft and delicious outcome. These are not the consistency of regular Oreos, but more so a soft, yummy cookie sandwich. Step 1: Mix together cake mix, eggs and shortening until well combined. 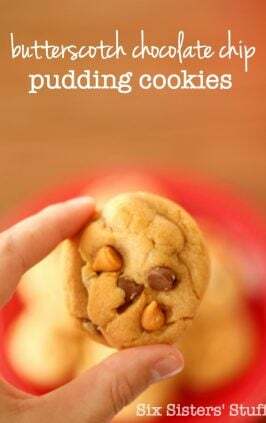 The dough will be pretty thick, it may not feel like regular cookie dough but that’s okay! Step 2: Roll dough into one inch balls. Making sure they are all similar in size will help you when stacking them. Step 3: Place dough onto ungreased cookie sheet and bake for 8 minutes at 350 degrees. Immediately transfer cookies to a cooking rack to keep them from cooking longer on the cookie sheet. 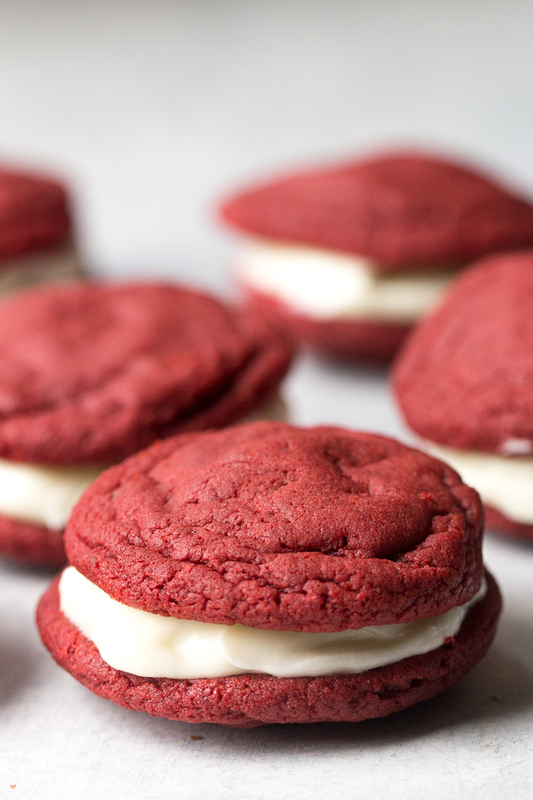 We love the combination of cream cheese and red velvet in this recipe. Here’s what you’ll need to make a delicious homemade cream cheese frosting. Cream your ingredients together using a mixer adding powdered sugar as needed to reach desired consistency. 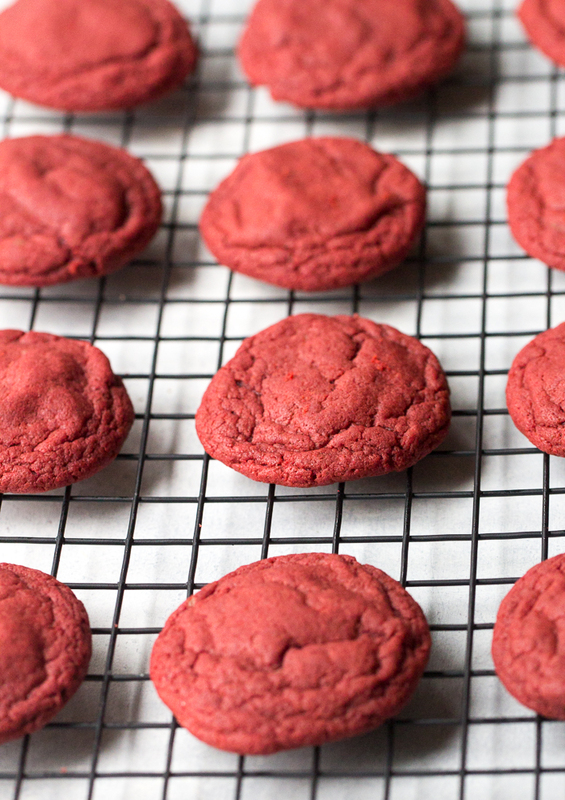 Spread onto cooled cookies. 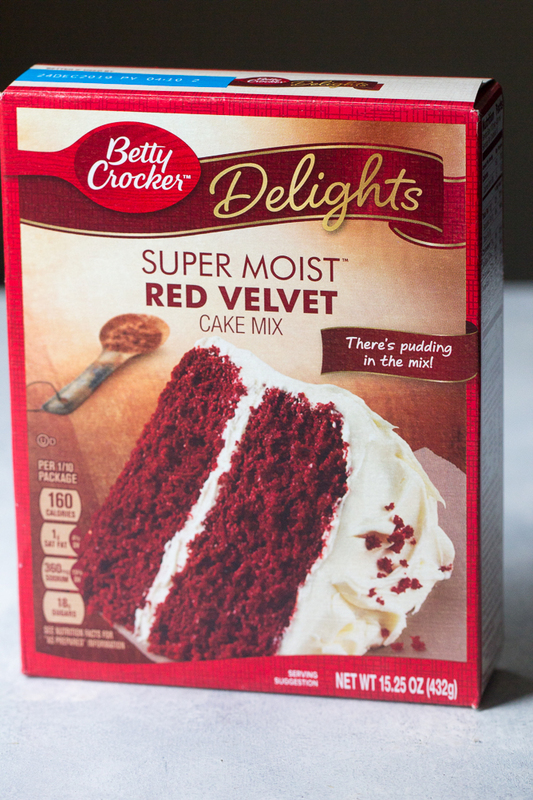 Here are a few more delicious Red Velvet Recipes on Six Sisters’ Stuff! 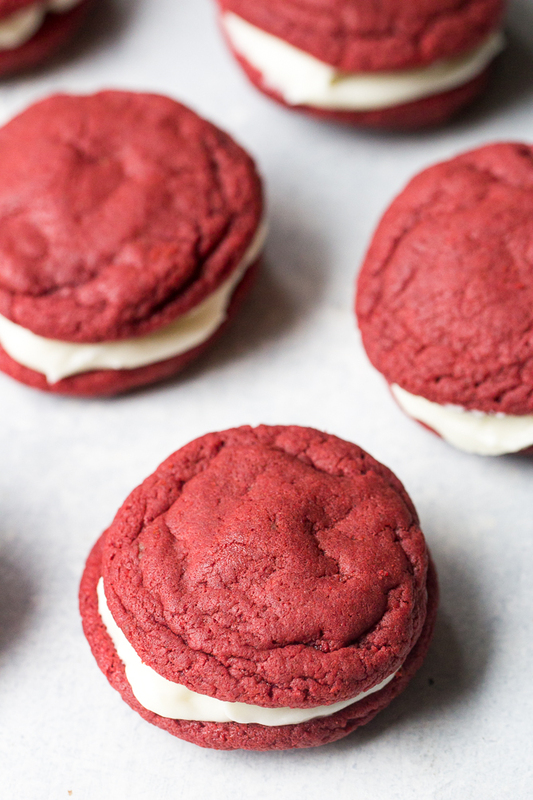 These were so easy and may have made a red velvet believer out of me! Mix together cake mix, eggs and shortening until well combined. The dough will be pretty thick. Roll dough into balls, making sure they are all similar in size. Place dough onto ungreased cookie sheet and bake for 8 minutes. Immediately transfer cookies to a cooking rack. Cream together cream cheese, butter, vanilla and powdered sugar until smooth. 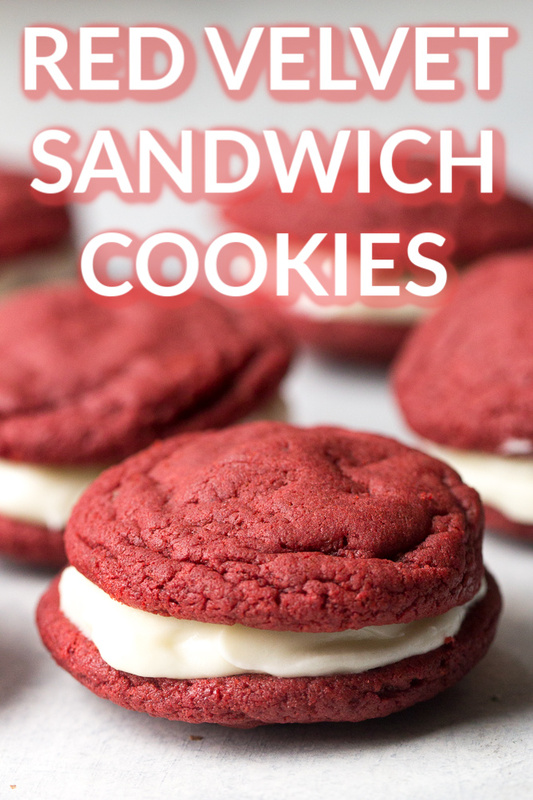 Spread onto cooled cookies and sandwich together. In this video, we’re making another yummy Valentine’s Day treat, Chocolate Raspberry Brownie Parfaits! Gorgeous color! I made homemade Oreos just tonight using a lemon cake mix! So fresh! So delish! Thanks for the idea to use red velvet! I really appreciate this post. I?ve been looking everywhere for this! Thank goodness I found it on Bing. You have made my day! Thank you again! Does subbing in butter for the shortening alter the outcome? I really don't care for shortening and don't have it in my pantry. How much vanilla extract ? 1 teaspoon. We'll fix that! Thank you! I just stumbled across your recipe on pinterest and wondered if this dough has to chill at all before baking?